Formula cars are called single-seater racing cars without a roof and with open wheels. Usually a driver begins after karting in a series that belongs to level 4 and step by step tries working up to Level 1. Formula 1 is of course the pinnacle, but there are also other series with similar cars such as Indycars. It is unusual in the course of a career to step back a level. 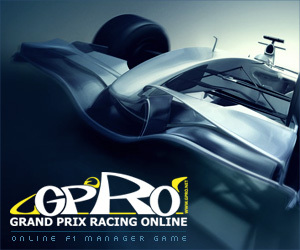 But some drivers have used this option successfully to restart the career, such as in 2006 Timo Glock who returned to the GP2 series (Formula Racing Level 2) or Edoardo Mortara in 2010 from GP2 back into Formula 3 (Formula Racing Level 3). In most Formula Series applies: The higher the series is to be settled, the higher the potential driving skills. The number of places available is dwindling. If a pilot sees no chance of a continuation of the open wheel career, he often changes in the area touringcars or sportscars. Here on the one hand costs are much lower, and on the other hand the number of available drives is a lot higher. The career ladder in the touringcar and sportscar Series is distributed not quite as clear as in the formula series. If a racer starts his career not in formula racing, then in many countries there are national cups and smaller touring car series with near-standard vehicles. Later there are in several areas attractive series for professional pilots. In addition, there are also opportunities for amateurs to compete in a very powerful vehicle of the highest level. At the top of sportcars are to locate the prototypes that go every year and at the 24 Hours of LeMans for the overall victory. Depending on the rules, there and in various other series are sub-categories with some less powerful prototypes, which are more or less filled by amateurs. GT cars (Italian "Gran Turismo") in the original sense are defined as race-ready "great journey cars". These are no prototypes - usually there must be at least a certain number of road-going vehicles, of the corresponding racing version. There are some very high-profile championships as well as many championships for amateurs . Some series called "Touringcar" are equivalent to GT in terms of vehicle performance, i.e. cars running in the German Touring Car Masters (DTM) or the Australian V8 Supercars. In contrast to GT series, often 4-door sedan bodies are used here, even if it is a "real" race car. In general, these series are filled with highly professional drivers and for many racers this is the career goal. More touring car series with different regulations exist in a variety of countries and regions in the world. Again, the driver's abilities vary greatly depending on the series. Especially remarkable is the FIA ​​World Touring Car Championship (WTCC), which can also be regarded as a career goal of professional drivers, despite the less powerful vehicles. Below these series, there are still a large amount of various one-make-cups (series of identical vehicles based on a road vehicle). Current examples here are cars such as Mini, Seat Leon, Renault Megane up to the Porsche Carrera, the latter is already performing on GT level. While it is unusual in the formula area that a driver spends some time in a small car, in one-make-cups often drivers can be found who remain loyal to the same series over many years.